There’s a nip in the air. 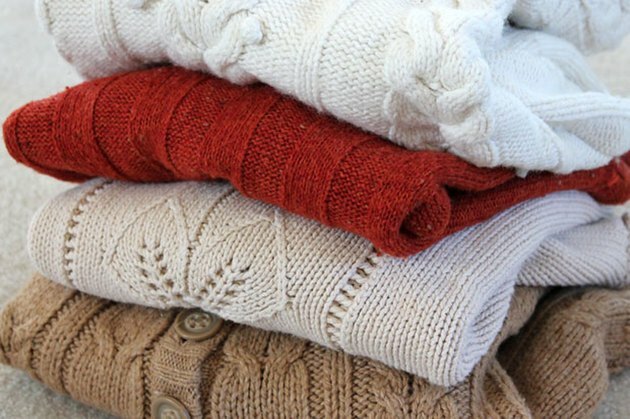 It’s time to get your sweaters out. Fall is coming! 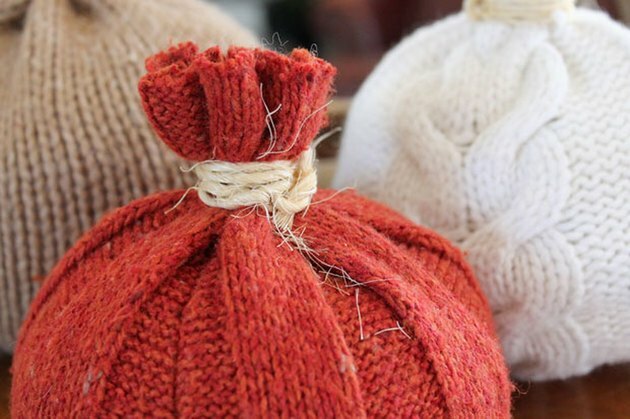 But if you happen to find a moth hole in one or more, don’t throw them out, instead, make some easy sweater pumpkins for autumn decorating. 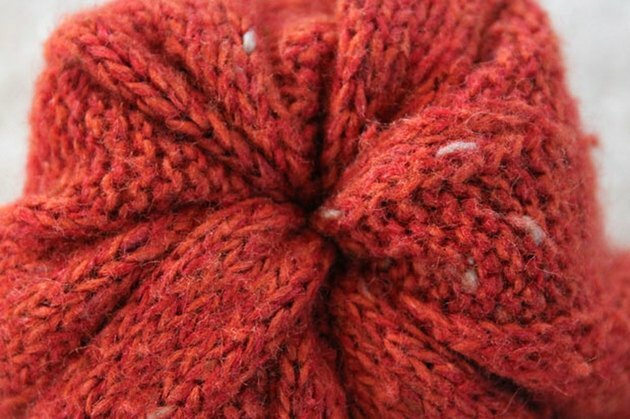 Or you could head to your nearest thrift store, like I did, to gather up a few old, outdated sweaters with some great colors and textures for this project. Cut a piece from one of the sleeves. The size you cut will depend on how big you’d like your pumpkin to be. 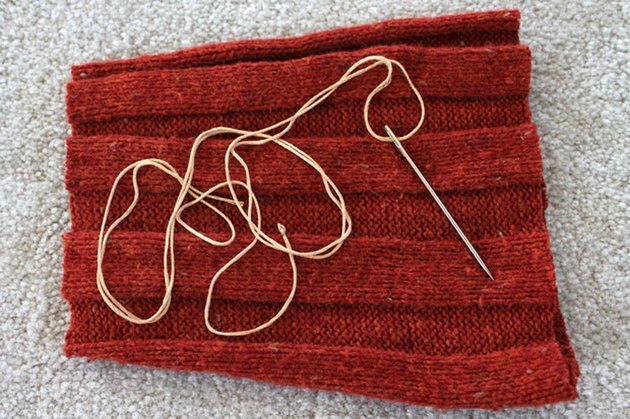 Thread a large needle with a full strand of embroidery thread and tie a knot in one end. 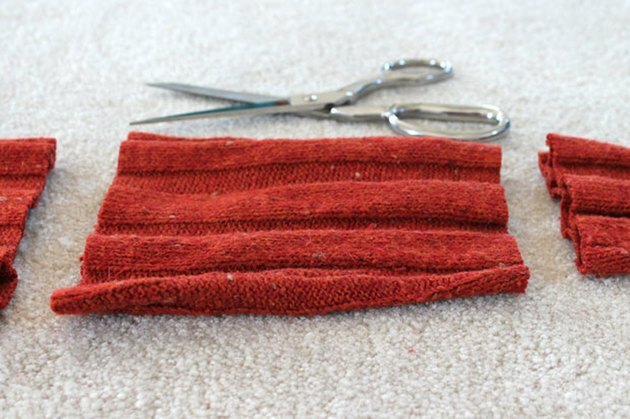 Turn the sleeve piece inside out and hand stitch around the larger end. 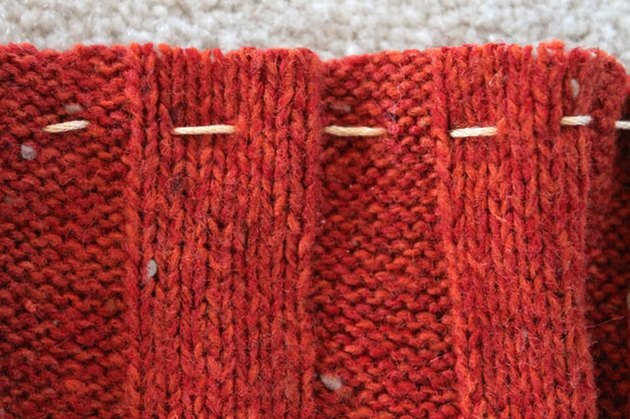 Pull your stitches tight to gather the end together. 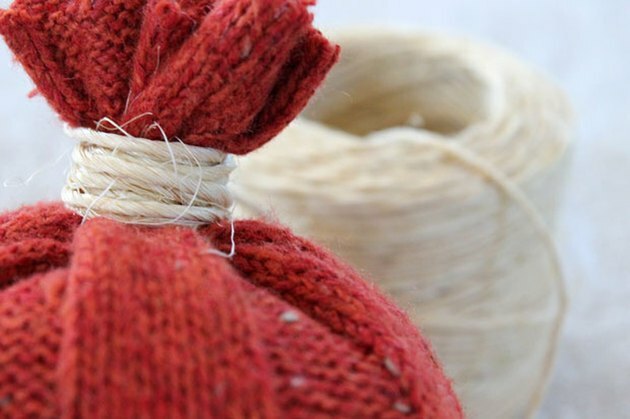 Wrap the rest of the embroidery thread around the gathers several times and secure with a knot. Cut off the extra thread. Turn the sleeve right side out and the gathered end will become the bottom of your pumpkin. 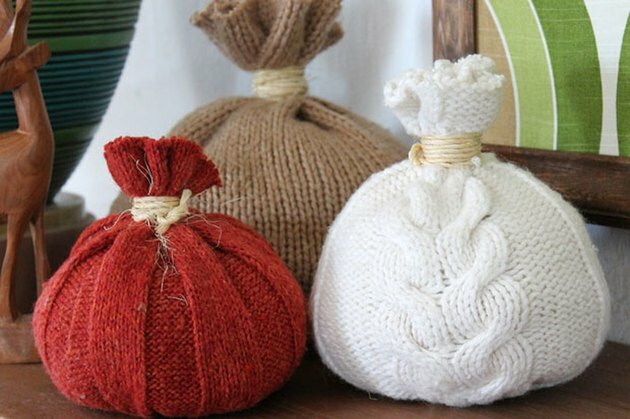 Fill the sleeve with pillow stuffing until it is the shape you like then use twine, string or leather to wrap around the “stem”. Tie a knot in the twine when you get the look you like. 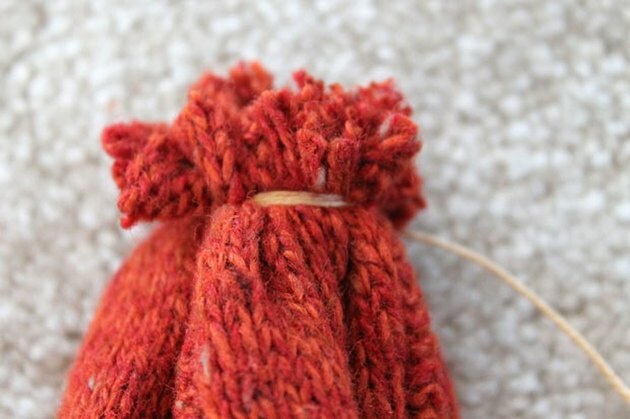 You can even use a dot of hot glue on the knot to keep it secure. 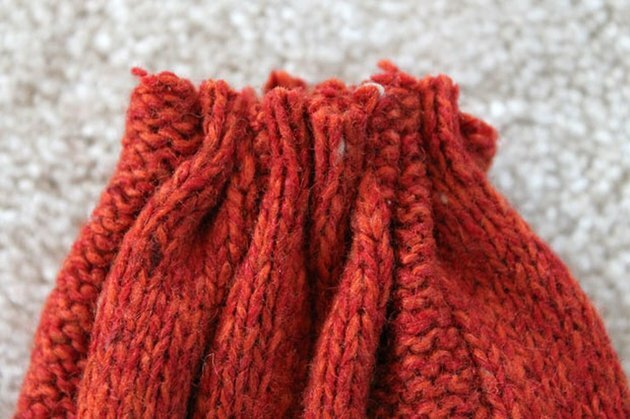 Repeat this process with several different colored sweaters for a fun and easy fall decoration.